Are Raw Pet Foods the Right Choice? There is a lot of debate going on to establish whether raw pet foods are good for your dogs and cats. These are the days when many brands of commercial pet foods are easily available in various varieties and prices. Most dog owners treat their dogs as their best companions or as members of their families and they are always on the lookout to provide their pets with the best in everything. As a result, several pet owners are now turning into raw pet food diets for their dogs or cats. What Does Raw Pet Food Mean? Raw diets refer to the food that the canines had been taking in their natural form. This means that you provide your pets with little or no processed food. Most of the food intake will be in the raw or natural form. They include raw meat in the ground form, organ meat and sometimes bones. These raw diets are easily available in cold storages and freezers. These are re-thawed and served to the dogs with certain added supplements. It is a common belief that raw diets might sometimes cause severe food poisoning. However, a raw pet food also goes through the same levels of safety and quality check processes as a commercial food preparation and so, there is little to worry about it. What Are The Risks With Raw Dog Food? The risks involved are minimal and no major bacterial infection may be contracted. It should also be noted that these carnivores have always evolved having raw meat. The immune system of dogs is much stronger than that of humans and so, there are very less chances of bacterial infections affecting them as a result of raw pet food diet. So also, the nutritional requirements of pets are usually taken care of by the raw meat diets. 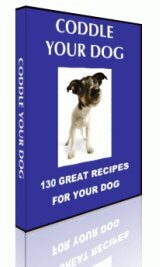 Another question that most dog owners consider is to whether these foods are complete in terms of nutrition that they provide. Is This Type of Dog Diet Healthy? However a raw pet diet might not be nutritionally complete. The pets on this type of diet should ideally obtain vitamins, minerals, and enzymes available in fruits, vegetables and fish to make it a complete, balanced diet. To take care of this requirement, some companies include veggies also as a part of the diet, and the end product is healthy and balanced. Though raw diets might turn out to be much more costly when compared to commercial pet food, the side effects and trouble caused by them are much lesser. They do not cause allergies, digestive problems or skin diseases. So, improve your pet's health and vitality by inducing a raw diet, and cut down your vet's bills today.